Runes have always been known to have some sort of magical significance as well as being oracles. During the old ages in Norse times they were known as Runa - a hidden revelation of something. Today it is simply known as Runes. Many will dispute exactley what they represent. Some will say future events, invocations of Deities, witches letters, the communication with animals, etc. As a matter of fact, the first rune called Fehu, is associated with the God of fertility Frey. 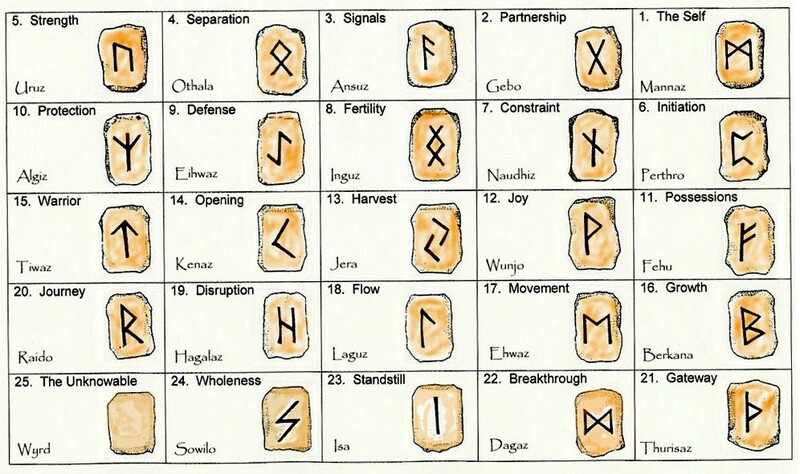 Below is a universal rune chart with meanings. 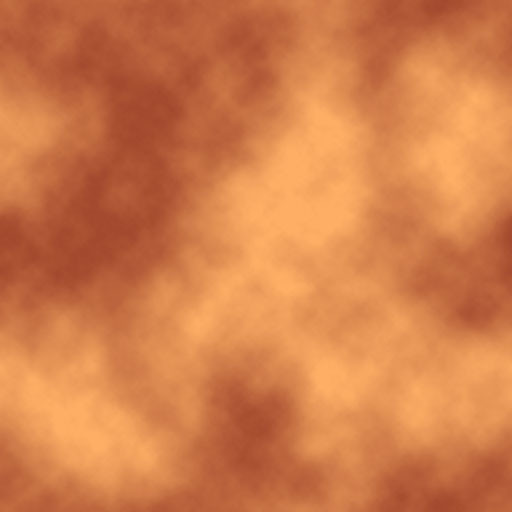 The intrepertation of them displayed are ones that has a universal meaning reguardless which direction they are positioned. Some will say this is the old Vikings tradtions and some will say this is a form from other ancient cultural ways. There is never one way and meanings will vary just as the tarot cards. This represnets yourself in all aspects. You have the wisdom to seek the answers about yourself that come from deep inside. If anything is blocking your path, it is a blockage that comes from within and only you can unblock. Go deep inside of yourself. This is your connection with all of nature and Life, Trees, animals, family, friends, lovers etc. Now is the time to connect !. Partner, love one, friend, spirit guide, Spirituality etc. Pay attention to any signal or signs. Most of all trust your psychic abilities, but do not let them go overboard to the point that you are reading too much into them. The signs are clear, no need to try and go deeper with them. A disconnection of some kind. You have separated yourself too much from someone or something. This mostly has to do with a spiritual connection. Time to reconnect with oneself, nature, the moon, the sun, the earth, etc. You have the strength to do what you need to do. Trust and tap into it. Do your best to have more confidence within yourself and the power that you have inside of you. It is a part of you, so embrace with positivity and love. Now is the time to dedicate yourself to something or someone and stick with it. Right now the time in your life to do this is on a positive level within the spirit world. No matter what tribulations or turbulance you may be going through. You have been called to connect yourself with the powers of the spirit world. Something is holding you back from doing what you need to do. It could be yourself, another, fear, or something. This can cause distress. You must unbreak these chains and go forward. Harmony must be restored. Now is the time to start something new. Or something new is coming your way and it is very positive. Do not confuse a recent newness you may have just had. This has not appeared yet, but it will very soon. It is time to protect yourself from any negative thoughts or doubts that you may have. This could also mean a good time to protect yourself from another's negativity or someone who is trying to get something that you have. Whether it is a object, job position, a love of yours, or even your power. You may feel that you need to denfend yourself or another. The time for that is over. You should not waste any more energy on this. If you think this pertains to yourself and the stone Algiz does Not turn up, then your defense shield are not needed and perhaps you are a little too defensive. There is a issue with a personal property item of yours. If the stone Inguz shows up in the spread, do not worry too much, it will all work out. If it does not, then it is time to let something go or to improve on it. Happiness and/or prosperity is around you. A very positive time. The Great Spirit has been around you since conception and now it is embracing you with an abundance of prosperity, love and light. Mother Earth is a strong force of power and energy that she gives to us. You need to use that more, it is her natural gift to you. If this appears to you in the fall season, whatever conflicts you may be going through will end in your favor if you just embrace Mother Earth's natural power. A door has opened up for you, maybe several. Be sure to take advantage of it and go for it. Also beware of those whom may try to conince you of a dark path; they see your light with much jealousy but are unable to touch you unless you let them persuade you that positivity can come from dark. Keep your wealth of positive light and great power. Your blessings will continue to grow. You are strong enough to take on challenges. You can achieve your goals that you wish and need. If the stone Wunjo or Jera came up, this will help things go more easily for you. You have grown with your insight and powers. Now is the time to test them out and use them. Things are starting to happen. Change and growth for you. Travel and steady progress. Talk with your spirit guide and do not try to over think things. Things are the way they are and may be for reasons that you are not meant to fully understand. Walk your mind away from confusion and relax. Nature is taking it course. If Hagalaz turns up, you MUST accept things and do NOTHING. Rough times are upon you or soon will be. You can work through it no matter how difficult it is. This has to be and is out of your hands. A spell is not needed but accpetance of things that we can not control is. A perfect time to learn something new, but in order to do that, we must either make peace with someone in the past or forgive ourselves. Mostly known as a travelers stone, it goes much deeper. If you have the ability to astral project, then now is the time for it. Do not make any quick decisions. Think things out carefully. Take your time with this. If Ehwaz appears in your spread, then you need to balance your thoughts and emotions prior of making any decisions. Sometimes we get too excited and overlook all things. Choices and change are good, but you need to do what is best for you. This is your light at the end of your tunnel. Whatever problems you are having are going to be coming to a end. Think of this stone as your rainbow stone with a pot of good. Very positive and good. Things are at a standstill for the moment. Do not let it get you down. People will tend to get into a depression at this point and you should not let this happen to you. You are unable to push or get the situation moving because you are not meant to. Sometimes things must come to a hold or slow down. This is a very good positive stone for the body, mind and spirit. If the Dagaz and Hagalaz comes up, this stone along with the help of Dagaz will push those rough times of the Hagalaz through quicker and out of your way. Not an original rune stone, therefore it really serves no purpose in divination. However, more of a replacement stone if you were to lose one of your runes.